International power supply with quiet operation. If your system’s power supply is unclean, background noise affects your sound quality. The iPower cleans this up, addressing the problems at both the output and input stages. It makes your sound flow cleanly and effortlessly. The iPower has four barrel tip adapters, which means it’s compatible with all wall pin types across the world (UK/US/EU/AUS), as well as USB and center-negative audio adapters. Whatever you’re listening to, the iPower smashes through the sound barriers that hold devices back from achieving clear, uninterrupted sound. The iPower makes music come alive with incredible low-floor noise and adds detail originally lost through conventional power supplies that are often just mobile phone chargers that have no regard for quite power. The iPower is at least ten times quieter than previous iFi power adapters, twenty times quieter than audiophile linear power supplies and one thousand times quieter than standard wall adapters. The iPower comes with Active Noise Cancellation+ to cancel incoming noise. Coming in 5, 9, 12 or 15 volt versions, it works with just about every audio device. Works with virtually any DC powered device. The measured noise floor is 100x quieter than the Common Noise Filter. 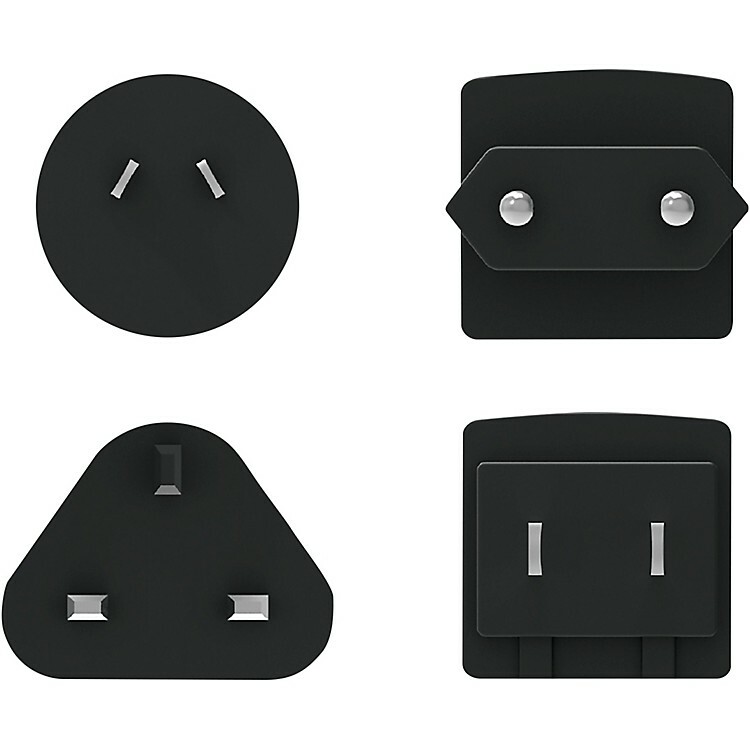 As it comes in 5, 9, 12 and 15 volts and with pins for the USA, United Kingdom, Europe and Australasia, it can be used all around the world.